The Northeast Indiana Chief Information Officer (CIO) Forum is comprised of Information Technology leaders (CIOs, IT Directors, and IT Strategists). We meet quarterly, generally from 7:30 – 9:30 AM in various locations, sponsored by the group or other strategic partners, to discuss IT issues, trends, and best practices. This conversational series of sessions are designed to allow the free and confidential exchange of ideas so that CIOs and IT leaders can optimize their Information Technology operation. 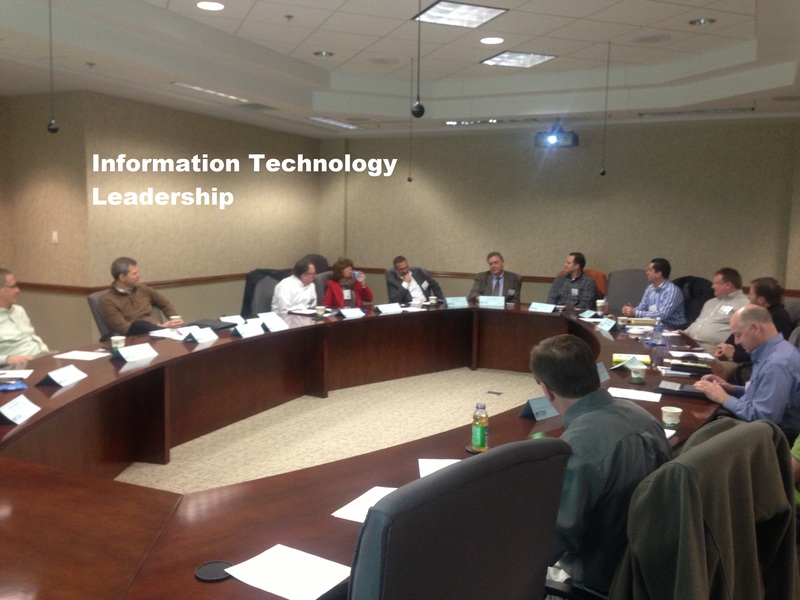 The Northeast Indiana CIO Forum self select the topics. The attendance in the group is limited to optimize the discussion. It is not a sales meeting of any type, although we do review appliances, applications, tools, and methodologies. It is designed to help CIO and IT Leaders remain connected to technology trends. Contact us at 260-403-5855 if you are interested in joining this group or sponsoring a quarterly meeting. Additionally various corporate sponsors host networking and learning events during the year. The Northeast Indiana Chief Information Officer (CIO) Forum will meet during Techapalooza, Friday, March 18, promptly at 8:00 AM. Join us to hear from four area CIOs about their challenges and success stories over the years. We have an opportunity to learn from Clifford Clarke from C2 IT Advisors and Ivy Tech, Ron Double from Parkview Health System, Julie Friegang from Franklin Electric and Steve Gilliom from PHD. You'll learn new techniques and approaches to similar problems from diverse organizations. A fresh look from a different perspective provides new insight. Join your peers in an informative discussion of approaches and strategies. Find out what works and what doesn't. The Northeast Indiana CIO Forum will start with a private welcome, attend the panel discussion facilitated by Mike Altendorf, CIO, Do It Best, and adjourn to a private CIO Forum only debriefing immediately following the panel. When: Friday, March 18, 8:00 AM prompt - 10:30 AM - Please note this special start time. Registration: Required - click here to register now for the March 18, 2016 CIO Forum. Registration is limited and forum member receive priority. For more information about the next meeting contact Clifford Clarke. Connecting with peers is great. It provides us all with invaluable insights; but based on comments from the advisory committee we will now feature a technology briefing. This quarters meeting will feature a demonstration of Microsoft's cloud communication / collaboration tool Microsoft Lync. The forum members have enjoyed the predictability of our format; however the packed meeting did not optimize the potential for building of strong relationship. At the request of the advisory committee we will extend the meeting to 9:30 AM. This will respect your time and give opportunities to build strong relationships. --Mike Altendorf, Do It Best Corp.